The sporting world has been marking Armistice Day and the 100th anniversary of the end of the First World War. At Rangers' Ibrox stadium, a single piper - one of a thousand across the country- marked the centenary. In Edinburgh, the Hearts first team squad and coaching staff held their annual service in the city's Haymarket, while a wreath was also laid by Hibernian. Football fans held a two-minute silence outside the main stand at Anfield ahead of Liverpool's game against Fulham, while in Manchester, the build up to the City v United derby was put on hold as people paid their respects in St Peter's Square. 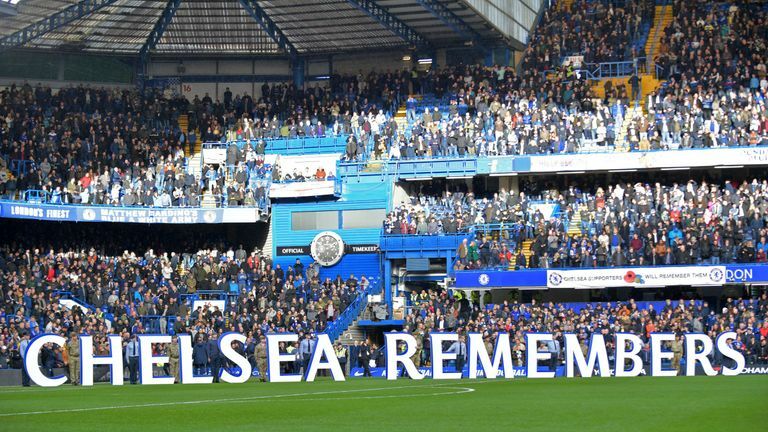 At Stamford Bridge, supporters held a silence outside ahead of Chelsea's game with Everton, with players greeted by current and former servicemen and women. Players and supporters of Livingston and Celtic held a silence before their game in the Scottish Premiership. Tennis also paid its respects at London's O2 Arena ahead of the ATP Finals, where the lights were darkened and the screens lit up with poppies at 11am. Meanwhile, in Sri Lanka, the England cricket squad also observed two minutes silence.